Current practices in the industry require significant involvement of die-casting experts who have to consider industry best practices and knowledge of process physics besides reference to a number of databases is also required making it very time consuming and cumbersome exercise. The die-casting industry therefore requires a system that could help relieve the die-casting expert from manual and time consuming tasks to design a good gating system. A computer-aided system for multi-gate gating system design for die-casting die is presented in this paper. The working of the system is supported by part, process, machine, and material information which is called input information. The system works in three major steps called modules of the system. The first module deals with the determination of die-casting process parameters. This module helps the user in determination of cavity fill time, gate velocity, and selection of die-casting machine automatically from the input information. The second module deals with the computer-aided determination of gating system parameters like gate thickness, gate length, runner length etc., by using input information. The last module of the system uses the parameters obtained from the second module to generate CAD models of the gating system by updating gating system features from feature library. The system was implemented in MATLAB. The proposed system is capable of designing gating system for die-casting parts requiring multiple gates. The system has been tested on example die-casting parts, and the results obtained from the system are as per industry practice. 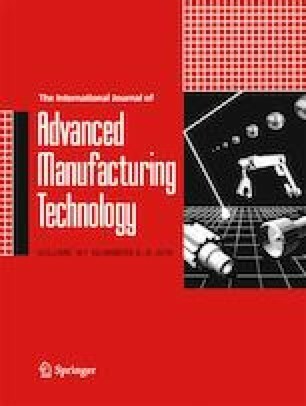 This paper is a revised and extended version of previous paper of the authors titled ‘A systematic approach for computer-aided gating-system design for die casting dies’ communicated at ASME 2016 International Manufacturing Science and Engineering Conference (MSEC) held during June 27–July 11, 2016, at Blacksburg, Virginia . The authors are thankful to the organizers of the conference and the reviewers for providing valuable suggestions that helped improve the paper. The authors are also thankful to HGI Automotives Pvt. Ltd. Faridabad, India and Rockman Industries Ltd., Ludhiana, India, for their cooperation and support in the present research work.